Cold War Air Museum: What's in a name? Despite the best efforts of officials, an aircraft takes on a name and identity given to it by those who fly it and use it, not by those who design it or pay for it. 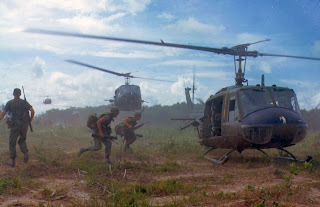 The U.S. Army has an official policy of naming helicopters after Native American (Indian) tribes. Despite the best efforts of publicists, no one calls this an Iroquois, everyone calls it a Huey. 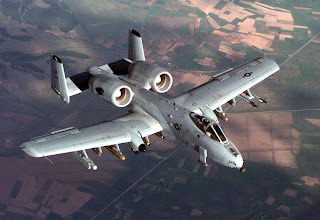 The T-37, featured in the preceding post, is one of a handful of U.S. aircraft that were not officially named when they were "born". 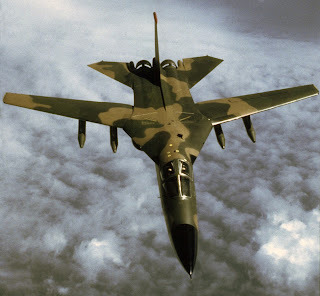 Another was the F-111. Never officially named during its service career, the F-111 was always known by its unofficial nickname. At its decommissioning ceremony, the F-111 finally received an official name, the name those who had flown it and worked on it all its life knew it by, the Aardvark. The "Tweet" may receive similar recognition on its official retirement. 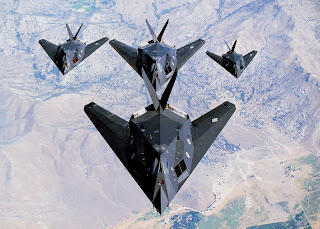 Now officially retired, the F-117 was named the Nighthawk. But it was called by its nickname, the Wobblin Goblin, Wobbly Goblin or simply the Goblin. The F117 was the first of the current generation of stealth aircraft. Designed more for stealth than stability, early prototypes were described as "wobbly" because of their unstable flight performance (but later versions were reported to have improved handling). Its "spooky" ability to disappear on radar and its strange appearance easily justify the Goblin moniker. Despite the best efforts of Generals, Admirals and Vice-Presidents of Marketing, the best value judgments and names that "stick" come from the field.